Five Minutes to a FLAWLESS Face! When you’re short on time but need to look flawless, here’s a super easy and fast way to get the job done in five minutes or less! After cleansing and toning, apply our Acne-Safe Tinted SPF40 + Primer all over your face. 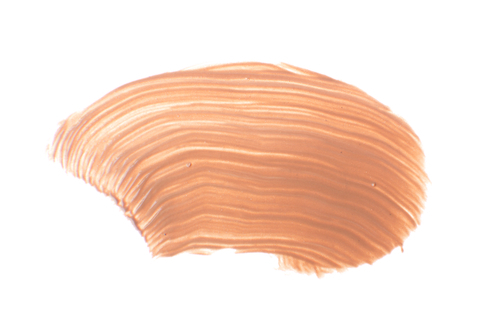 This product serves as a substitute for a light foundation, SPF and primer all-in-one! Tip: Be sure to wash your hands right after you apply this product as it may stain some fabrics. 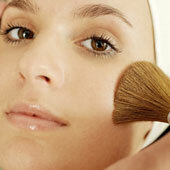 Next, apply concealer to any areas that need some extra attention such as under the eyes and blemishes. 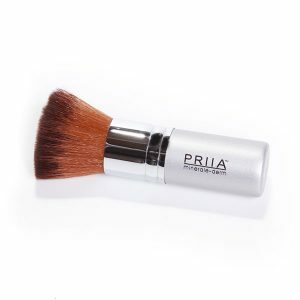 You can use PRIIA’s creme concealer right out of the tube and blend with your fingers or you can use our loose mineral foundation with our Wet/Dry Concealer Brush. 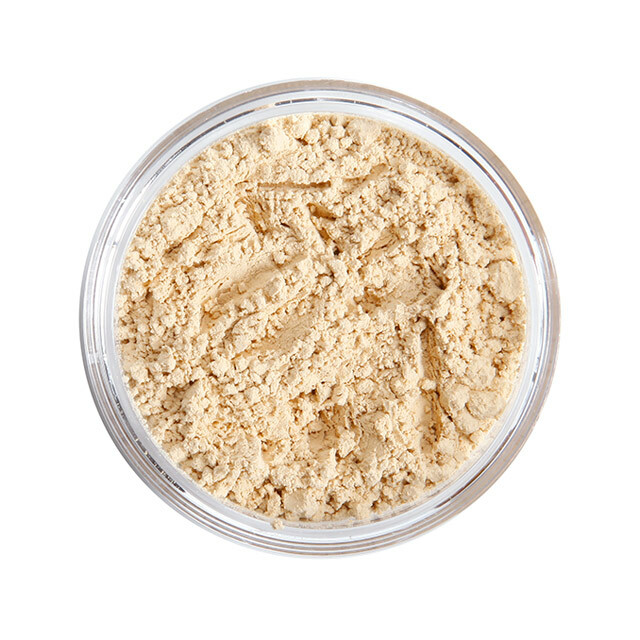 Third, apply a light dusting of our Behave Finishing Powder in Tinted or Untinted all over the face. If you’re prone to excess oiliness during the day, use our HydraPrime Oil-Control Powder instead. Fourth, apply a little bit of our Vacation In a Jar Loose Mineral Bronzer to areas where the sun would naturally “kiss” your face. Or use the bronzer just on the apples of your cheeks in place of your regular blush. Next, apply our Lip Treatment Balm in Tinted or Untinted to keep your lips protected and feeling baby soft all day. Lastly, apply one to two coats of your favorite mascara. Voila! You’re done in five minutes or less! This entry was posted in Expert Application Tips Revealed!, PRIIA Mineral Makeup, Quick Tips: Makeup and tagged acne, acne safe, beauty, beauty tips, breakouts, cosmetics, face, flawless, Hydraprime, loose mineral foundation, oily skin, PRIIA on January 4, 2018 by Kelley Maddison. *Article posted with permission from Blooming Skin Care & Acne Clinic in Bloomington, Indiana. Acne flares seem more common in many of my clients during late September and October. Research surrounding seasonal changes done by French Endocrinologist Alain Reinberg supports that the lessoning length of daylight can trigger hormone fluctuations that contribute to acne flares. My theory, a little too much fun this summer has resulted in a delayed flare. How could that be? It takes as little as 14 days or up to 90 days for a clogged pore to turn into a pimple. Realistically the stuff you’ve been doing or NOT doing for the last few months, (like you are using your customized home care) are probably contributing. Think back to all the things you were doing just a few weeks ago. Summer sun burns and tanning of all kinds can result in acne. They usually pop up several weeks later after those sundried dead skin cells have become trapped, yet again, in the pores. Summer Heat & Humidity causes the stratum corneum to swell. This puts pressure on the fragile follicle walls. A high carbohydrate diet – basically, processed foods like bread and refined grains that are quickly broken down into sugar – can have a terrible effect on skin. The theory is that refined carbs cause your insulin levels to spike, which in turn leads to increased sebum production and clogged pores. Noncompliance! 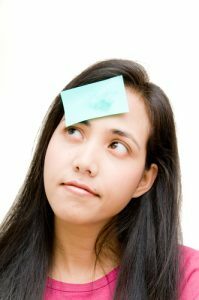 Skipping home care, even if it’s just a few times at camp or at a sleep over, allows cellular debris to start piling up in the pores once again. You may not notice breakout immediately but in the weeks and months to come. Stress, the BIG one! Doesn’t matter if it’s good or bad stress. 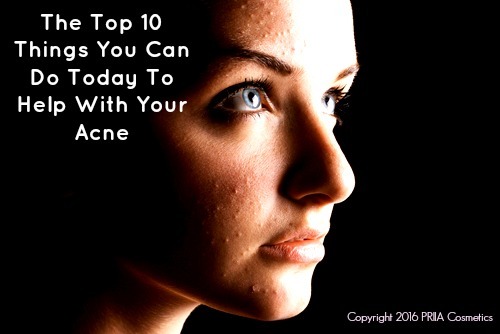 Moving, starting a new job, going away to college… all rank right up there as some of the top acne contributors. 1. Swimming Pools-chemicals used to clean pools contain ingredients that aggravate the follicle. 2. Summer Foods-Vacations and BBQ’s are full of acne causing foods. Although certain foods do not cause acne they are a major factor on your acne occurrence and severity. 3. Summer Heat-Bacteria loves a nice warm environment and the heat of summer is like heaven to P.Acnes Bacteria. Your clogged pores have had all summer to “grow” bacteria and now they are manifesting into acne lesions. This is why we tell you to ICE! 4. Sleep Overs/Camps-It’s really hard to stay on track with your home care routines with all this fun stuff going on. Inconsistent product usage WILL catch up with you! If you find yourself breaking out and would like some guidance, schedule a consultation to start with Christy at Blooming Skin Care & Acne Clinic in Bloomington, Indiana or with your local esthetician. This entry was posted in Skin Care & Treating Acne and tagged acne, bacteria, beauty, beauty tips, breakouts, cosmetics, mineral makeup, PRIIA, skin care on August 30, 2017 by Kelley Maddison. 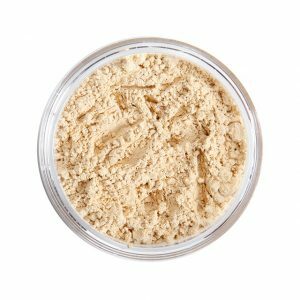 Acne-Safe Tinted Mineral SPF40 is here!!! We are so excited to announce the launch of our new acne-safe tinted mineral SPF40! It’s a 100% acne-safe physical sunblock that contains both Zinc Oxide and Titanium Dioxide, which provides broad spectrum coverage from both harmful UVA and UVB rays. This silky-smooth lightweight tinted SPF40 also doubles as a primer to help reduce the appearance of enlarged pores and fine lines/wrinkles. It’s also Water Resistant up to 80 minutes! 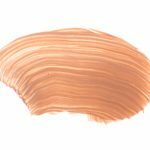 This product comes in one universal shade that is appropriate for most skin tones. If desired, you can mix a little of this product with your regular SPF to ‘lighten’ the tint. Using a separate primer is NOT necessary after using this product since it already has a primer built into it. So, if you have our acne-safe primer, you don’t need to use that on the days you choose to wear the acne-safe tinted mineral SPF40. This is the PERFECT product to use when you don’t want to be bothered putting on foundation but you still want a “finished” look! How to use: Dispense a nickle-sized amount of our acne-safe tinted mineral SPF40 into your hands and apply evenly all over the face. Be sure to blend well. You can apply our foundations over top and/or just our HydraPrime or BEHAVE Finishing Powder to complete your look. *Thoroughly wash hands after application as this product may stain some fabrics. Both full-size ($44) and sample sizes ($3.50) are available. We encourage all customers to purchase sample sizes BEFORE committing to full-size products. Get yours today at PRIIA.com! This entry was posted in PRIIA Mineral Makeup and tagged acne, beauty, breakouts, cosmetics, makeup, mineral, non-comedogenic, PRIIA, SPF on May 1, 2017 by Kelley Maddison. If you’re an acne-prone individual, you need to be careful with the cosmetic products you’re using as many contain hidden pore clogging ingredients. When you breakout from makeup, this is a condition known as ACNE COSMETICA. The most frustrating part about Acne Cosmetica is that you may be using products that say: “won’t clog your pores”, “hypoallergenic” or “oil-free” yet they are actually what’s causing your breakouts or making your existing acne worse. Another frustration many acne sufferers experience is that the products they’re using may have been orginally safe for acne but now the formula has changed and it’s comedogenic. There is no way to know if a formula has changed unless you check the ingredient decks with every purchase. Let’s be honest- most consumers don’t check ingredient labels with the FIRST purchase nevermind with subsequent purchases. 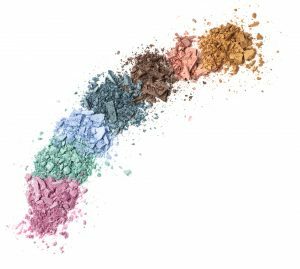 Plus, the large cosmetics manufacturers CONSTANTLY change their formulas. At the end of the day, the acne-prone consumer is left feeling confused, frustrated and defeated when breakouts occur and yet they haven’t changed anything within their routine. What should you do? BE YOUR OWN ACNE ADVOCATE. But how do you become your own advocate to avoid Acne Cosmetica? Use PRIIA’s PORE CLOGGERS LIST to check your products’ ingredient decks. In all honesty, this is an arduous task and this list is by no means the “be all end all” of pore clogging ingredients but it’s a good start. Your best bet? Switch out your cosmetics to our line, PRIIA minerale-derm. Our formulas are not only 100% acne-safe but they’re also beneficial to acne-prone skin. They are non-comedogenic and non-acnegenic which means they won’t clog your pores OR contribute to acne breakouts. Our products have helped thousands of acne sufferers. Give us try today. It’s a step in the right direction on the path to having clear skin! This entry was posted in PRIIA Mineral Makeup, Skin Care & Treating Acne and tagged acne, acne cosmetica, breakouts, cosmetics, ingredients, makeup, non-comedogenic, pore cloggers, PRIIA on March 8, 2017 by Kelley Maddison. Let’s face it, when you purchase high-quality, professional makeup brushes, you are making a significant investment. In order to protect your investment, proper care of your brushes is not only highly recommended, but essential. Properly cleaning your makeup brushes will save you time, money, and even your skin! Each time you use your brushes, they become contaminated with skin oils, bacteria, debris, and old, oxidized colors. Cleaning your brushes will help remove these contaminants so that your makeup application will not only be easier, but also be fresher and cleaner. Plus, your brushes will last so much longer. Your brushes should be thoroughly cleaned at least once per week with a gentle brush shampoo or ultra gentle facial cleanser. It doesn’t need to be a hassle- all you need is about 5 minutes. ♦ Simply run your brushes under warm water and apply the cleanser to the bristles. Gently massage the cleanser into the hairs or fibers, but do not fully submerge the brush in water. Always point your brushes downward, taking care not to get water into the ferrule, the part of the brush that connects to the handle and the bristles. Getting water into the ferrule will loosen the bristles, causing the brush to shed excessively. Continue to wash the brush thoroughly, but gently, until there isn’t any more pigment coming out from the bristles. To make your life even easier, we recommend a silicone brush cleaning glove or mat. You can find one here at Amazon. ♦ Next, gently squeeze out any excess water, re-shape the bristles if necessary, and lay your brushes flat to dry on a paper towel. Never stand the brushes upright to dry. ♦ Last but not least, once your brushes are dry, store them in a closed container such as a clean makeup case or even a plastic bag. 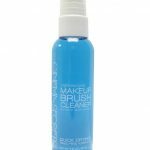 This will prevent environmental pollutants such as dust, pet dander, and mold spores from finding their way onto your makeup brushes and eventually onto your skin. 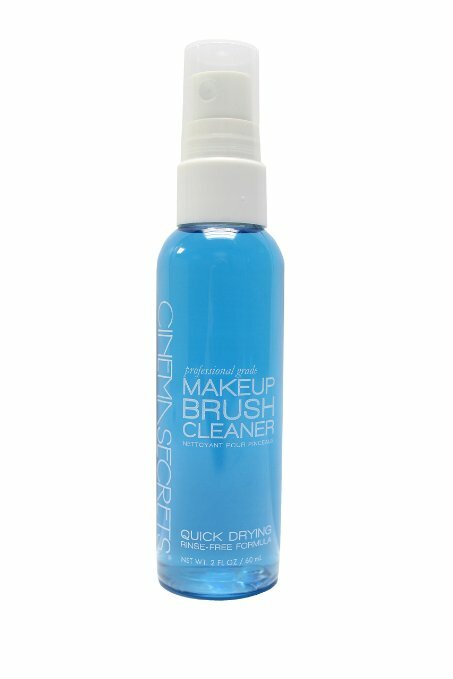 We recommend using a brush cleaner spray, such as Cinema Secrets, for in-between cleanings to help remove daily residue. It thoroughly dissolves all mineral pigments, sebum buildup and whisks away dead skin cells, leaving your brushes fresh, clean and ready for the next application. Plus it’s acne-safe! You can purchase it on Amazon. It’s important to note that not all makeup brushes are created equal. You have animal hair brushes and then there’s synthetic brushes. All of PRIIA’s brushes are synthetic. They are made of a nylon fiber, are extremely durable and will last almost a lifetime if cared for properly. We chose not to offer animal brushes because the question of animal cruelty is always front and center for us. Plus, animal hair brushes do not wear as well as their synthetic counterparts. Just like the hair on your head, makeup brushes made from animal hair can get roughned cuticles on the hair. When the cuticles are roughned, the brush starts to feel ‘scratchy’ and can actually cause small micro-tears in the skin when applying your makeup. These micro-tears create inflammation and we all know where that leads…red, itchy and inflamed skin. Ouch. All of these brush cleaning tips won’t mean a thing if you don’t actually do them. So go ahead and get to protecting your investment! One…Two…Three…WASH! This entry was posted in PRIIA Mineral Makeup and tagged acne, brush, cosmetics, makeup, mineral, PRIIA on January 13, 2017 by Kelley Maddison. Silicones: Do They Clog Your Pores? Silicones. They’re either loved or hated. They’ve been demonized and they’ve been praised. Most notably, they’ve been accused of being comedogenic; meaning that they will clog your pores leading to acne breakouts. But is this true? Today we will separate fact from fiction and learn the truth about silicones and their role in the beauty and skin care industry. Silicones are class of chemicals known as ‘polymers’. Two basic elements make up silicones: silicon and oxygen, chemically written as SiO. Silicon is 14th on the periodic table and is the 2nd most abundant element on earth. Silicones DO NOT clog pores or enter the bloodstream via cosmetics, nor do they bioaccumulate in humans and animals. The molecule is too large to enter the pore just as in the case of petroleum jelly and is too large to pass through the cell membrane (necessary for bioaccumulation to occur). However, silicones can INCREASE the penetration of other ingredients in a formula and if these other ingredients are pore cloggers and irritants, then those are the culprits for breakouts, NOT the silicone(s). On the flip side, if a formula contains non-comedogenic ingredients that are extremely beneficial to the skin, silicones will help to penetrate them and this is excellent news. Time and time again, silicones in studies have been shown to actually INCREASE the healing of acne lesions and DECREASE the occurence of acne scarring. Silicones also lessen the time it takes for wounds to heal. Silicones are non-irritating, non-sensitizing and they are extremely resistant to oxidation (they won’t go rancid). They are hostile towards microbial and bacterial growth which makes them an excellent wound-healing agent. Silicones are non-allergenic as well-they do not react with the body’s immune system. They are now being used as a replacement for latex (a very allergenic substance) in a wide variety of applications and are also used in treating Atopic Dermatitis and Eczema. Another rumour circulating via internet pseudo science is that silicones ‘act as a plastic wrap’ and do not allow the skin to breathe. Absolutely false. Silicones do NOT suffocate the skin trapping bacteria and sweat, as most people have been led to believe via internet scare-mongering and fear tactics. Silicones actually allow for oxygen, nitrogen and water vapors to pass freely, also known as a ‘vapor permeable’ barrier. 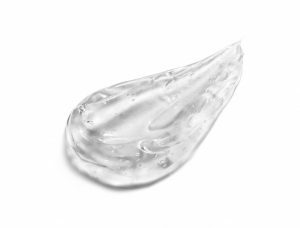 What silicones DO do is to prevent TEWL (trans-epidermal water loss): a leading cause of dry and dehydrated skin. The skin barrier is protected when silicones are applied topically. Protecting the stratum corneum is critical to skin health. Silicones do NOT trap sebum (facial oil). They actually help to absorb excess oil and produce a mattifying effect to the skin. Silicones can blur the look of fine lines and enlarged pores. This is highly desirable amongst cosmetics users who have oily skin, large pores and are frustrated by oily breakthrough and their makeup not lasting throughout the day. Silicones ARE biodegradable. They are not clogging up our environment, such as in the case of plastics. Silicones will break down into water, silicic acid and carbon dioxide. Low molecular weight silicones such as Cyclopentasiloxane will break down faster than higher weight silicones such as Dimethicone. Nonetheless, ALL silicones biodegrade and studies have proven that no adverse effects were discovered to soil micororganisims or plant life that was treated with soil containing high levels of silicones. As you can clearly see, silicones in the use of cosmetics have gotten a bad rap, and for no good reason and without a shred of scientific proof. Those individuals demonizing silicones are simply uninformed and they continue to perpetuate false rumours which only confuses consumers. Silicones are non-comedogenic & non-acnegenic. They DO NOT clog pores OR cause acne breakouts. Silicones are non-irritating & non-sensitizing. Silicones are non-allergenic. They DO NOT cause allergic reactions. This entry was posted in Skin Care & Treating Acne and tagged acne, beauty, breakouts, cosmetics, non-comedogenic, pores, silicones, skin care on December 28, 2016 by Kelley Maddison. More than 60 million Americans suffer from some form of acne breakouts. Acne affects more than 80% of all teenagers at some point in their lives, and clogged pores comprise more than 25% of all visits to the dermatologist. Acne has now hit epidemic proportions in adults, especially women. What used to be just a teenage problem is now a real challenge in people’s lives. →It is not due to dirty skin. →It is not due to eating chocolate. →It is not due to sexual frustrations. →It is not just a teenage problem. Acne is an inflammatory disease of the pores. It can be caused by certain drugs, lifestyle, diet, medications or exposure to certain chemicals, but most acne is an inherited tendency. Dead skin cells are shedding much too quickly in the acne-prone pore and an excess of sebum (facial oil) is being created due to hormonal responses. It forms a ‘plug’ along with sebum and hair and this is where the problem begins. If the body doesn’t see the ‘plug’ as an ‘invader’, then it remains as a non-inflamed lesion; a.k.a. ‘blackhead’. If it does, then the formation of pimples, pustules and cysts begin to happen. First and foremost- acne CANNOT be cured; only controlled. Don’t be fooled by all of the hype and empty promises you see about a skin care product or pill being able to “cure” acne- they can’t. Your best course of action is to stop wasting your time, money and sanity on bogus products and get yourself to a QUALIFIED skin care professional. 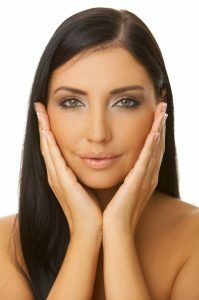 As a certified acne specialist myself, I HIGHLY recommend seeking help from acne clinics such as Face Reality in California. They specialize in the successful treatment of acne- it’s all they do. You can even check with them to see if there’s a Face Reality Certified Professional in your area. Many of our PRIIA™ retailers are also trained acne specialists. 1. Grab some ice! When you discover a pimple forming, instead of picking at it, grab an ice cube and rub it gently over the spot for about a minute. Don’t leave it one spot otherwise you may burn your skin- keep it moving. An even better solution is to use a SoothieQ®! Icing brings down the inflammation and in some cases, the pimple goes away. Picking only leads to the possible rupture of the follicle. This sends an inflammatory response signal to your immune system. More redness ensues and you most likely will be left with a scar because healthy tissue has been damaged. 2. Watch your salt intake. Iodized table salt and foods high in iodides cause irritation in the follicule walls in acne-prone individuals. Cutting down on salt is good idea for overall health but if you just can’t be without it, opt for the un-iodized variety. Foods that high in iodides (actually higher than table salt) are kelp and all seaweed based products (algae, carrageenan) and also plankton. Many vitamin supplements contain kelp. Many cosmetic brands are now including algae and plankton extracts. 3. Back off from dairy; especially cheese. There are many different schools of thought when it comes to the acne-dairy connection. Cows lick salt that has been iodized. Carrageenan is a common additive found in dairy products. Many different chemicals are used in processing milk, not to mention hormones fed to cows. Organic milk isn’t any better either- cows still lick salt AND their milk still contains hormones (just not added hormones). Consider switching to almond milk instead (unless of course you are allergic to tree nuts). 4. Change out your pillowcase every night. If you’re not using a fresh pillowcase every night- start doing so. There is evidence to suggest that sleeping on a fresh, clean pillowcase every night cuts down on the occurrences of blemishes. 5. Say NO to fabric softener and dryer sheets. These products leave a waxy residue on fabric to cut down on static cling. This residue is highly comedogenic and gets transferred onto your skin. Opt for dryer balls instead. They’re reusable and they help with static cling. Switch your laundry detergents to the fragrance-free variety. 6. Put away the peanut butter and other “high androgen” foods. These include: Peanuts, peanut butter, peanut oil, corn oil, wheat germ, shellfish and organ meats (liver, sweetbreads, heart). They contain a substance that mimics androgen hormones. Foods high in androgens are inflammatory, cause more facial oil and exacerbate acne. 7. Get more R&R. Rest and relaxation is important in helping with your acne. Not enough sleep and high stress levels stimulate the adrenal glands. This promotes more sebum production which leads to more breakouts. The stress doesn’t have to be ‘bad’ stress either. It can be joyful stress such as getting married or landing that new job you’ve been after for a while. Stress is stress- your body doesn’t know the difference. 8. Avoid low-estrogen birth control methods. They cause hormonal changes which leads to breakouts in the acne-prone individual. 9. Limit your sun exposure. At first, it may seem like your acne is drying up and going away from being in the sun. Don’t be fooled. Sun exposure without proper protection damages the follicles, exacerbates hyperpigmentation and increases your risk for skin cancer as well as for getting ‘Solar Acne’ and ‘Acne Majorca’. Be sure to use a non-comedogenic sunscreen every day. Heat and humidity also make acne worse. 10. Double-check your skin care and makeup products! Cosmetics are notorious for causing breakouts in the acne-prone individual. Many are filled with comedogenic oils, waxes, dyes and synthetic ingredients that aggravate acne. Even natural ingredients like coconut oil, shea butter and olive oil are big no-no for acne. Some prescription skin care products such as Retin A (cream form) contain a potent pore clogger- isopropyl myristate. Check your products with our PORE CLOGGERS list. If you find these ingredients in your cosmetics, consider an alternative. 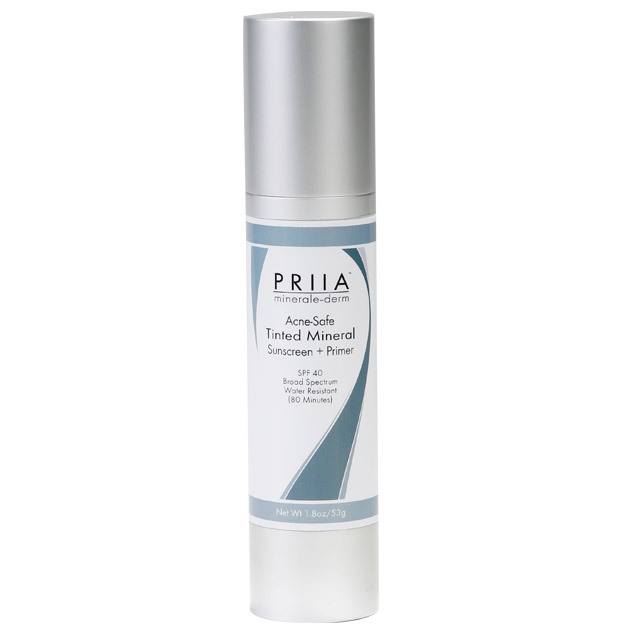 Our PRIIA™ Minerale-Derm products are 100% acne safe. They are truly non-comedogenic AND non-acnegenic. Give them a try today! This entry was posted in Skin Care & Treating Acne and tagged acne, breakouts, cosmetics, makeup, mineral makeup, pore cloggers, PRIIA on November 4, 2016 by Kelley Maddison.